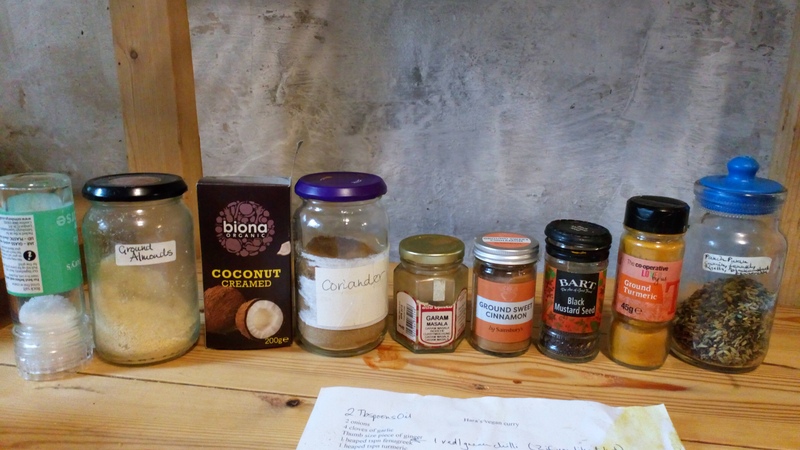 Some days there just isn’t time (or money) for a dud recipe so I’ve asked my friends for their favourites, knowing they are tried, tested and loved. Fry onions, garlic, chillis and ginger until soft. Add one heaped tspn each of fenugreek, turmeric, black mustard seeds, cinnamon, Garam masala and coriander seeds and fry for one minute. Pour in 250 ml water and two tsps bouillon, stir and add veg. You can use any veg you like. Hara says cauliflower works well but, unfortunately, it’s a veg my tummy can’t handle. Here are two combinations I’ve tried and enjoyed. Simmer until tender with the lid on. When almost ready add half a block of coconut and 100gms ground almonds, and a tspn of salt, stir, simmer for a few minutes and serve. TIP: If you dice the veg really small, you don’t need to parcook it and I prefer to add it before the water, helping me judge how much water I really need. 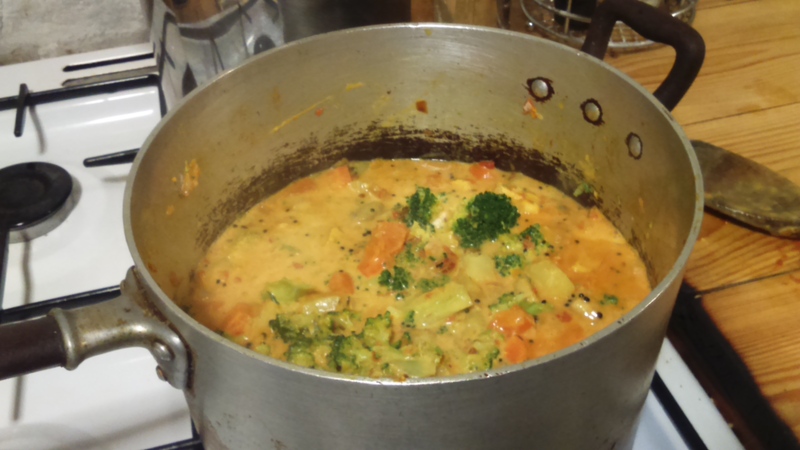 This recipe works well with frozen veg but again, you’ll need to gauge the water.